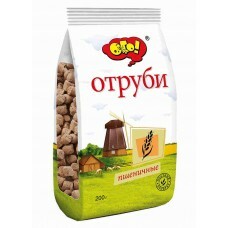 Imported Russian Krasnodar Round Rice "Yarmarka"
Buckwheat is energetic nutrition that belongs to a group of pseudo cereals. Despite its name, it is not wheat and it is gluten-free. It is a perfect supply and source of carbs to those, who suffer from gluten intolerance. Buckwheat groats are produced from fruit seeds that are related to quinoa or amaranth. Buckwheat is available all year and is consumed as an alternative to rice and other groats. Nowadays a lot of products, like pasta, flour, cereals are produced from buckwheat. As plant buckwheat has a very strong flavor that attracts bees. As a final product, we get dark buckwheat honey. Buckwheat is widely served in European and some Asian countries. It has become popular due to its balanced composition of nutrients: vegan proteins, carbohydrates, and minerals. Buckwheat is recommended by nutritionists as a healthy food that controls sugar in the blood and minimizes the risk of Diabetes, prevents heart failure, breast cancer, childhood asthma and so on. The concentration of healthy minerals is amazing: manganese, copper, magnesium, phosphorus, fiber, Omega 3 and Omega 6. Buckwheat is used in weight loss diets because it has a low glycemic index, vegan proteins and nutritious carbs. Back to history. In the 10th century buckwheat was cultivated in China. Then during the 15th century, it was spread to Europe and Russia. A few centuries later it appeared in the USA. Buckwheat is used in different cuisines, but most of all it is presented in Russian and Polish culinary culture. In these countries we can see the biggest fields of buckwheat. Also, it is cultivated in France, Canada, USA. In stores you can meet a few options of buckwheat: roasted and unroasted. Unroasted buckwheat is a soft, green or very light color groats with gentle flavor. On the contrary, roasted buckwheat has a strong taste, earthy tone. Buckwheat is commonly served as porridge or as we know the famous European dish, called “kasha”. Also, you can buy buckwheat flour that is dark. With buckwheat flour, you can prepare gluten-free pancakes, muffins or bread. The better way to keep the freshness of the buckwheat is to place it into an airtight container. You can buy buckwheat in a bulk or in a packaged container. With a right storing buckwheat can last up to 1 year. How to cook buckwheat groats? The proportion of buckwheat to water is 1 to 2 ratio. Rinse buckwheat in tap water, then place it into the pot and poor with the right proportion of water. Wait, when it is boiling and then reduce the heat. Let buckwheat cook for 20-30 minutes. You can add butter and salt up to your taste. Overall, buckwheat is one of the healthiest groats, that have ever been sold. The main benefit is that buckwheat is not wheat and cannot cause an allergy. Also, it includes a decent amount of vitamins and minerals that prevent a very long list of disorders. So, you should add buckwheat porridge in your daily diet if you are looking for a healthy source of carbohydrates.